Services are held Saturday nights at 6 pm. We start with a call to gather and worship. Each week we present a Jewish Objection to Jesus as Messiah. 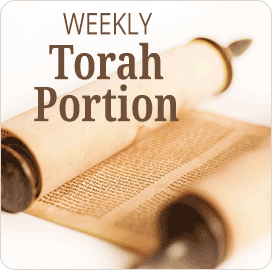 A drosh on the Torah portion is followed by praise, worship and prayer. The sermon or guest speaker will present and then we celebrate Havdalah. Refreshments or oneg follows the service. On the third Shabbat of the month we will share a fellowship meal. You may contribute side dishes, salads, desserts or drinks. Please respect those of our congregation that observe kashrut and do not bring any dish containing pork, shellfish or other item prohibited in Leviticus 11. Tuesdays at 7:00: Join us for Bible Study and snacks. Check the calendar for schedule. We meet in the worship center downstairs and studying “Experiencing God.” Please come join us! Doors open at 7:00. 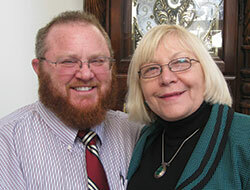 After several years of serving as a missionary, Rabbi Robert was called to plant a new Messianic Congregation and serve with Shofarel Jewish Ministries. Robert now leads that Messianic congregation, and travels the country speaking on the Jewish roots of the Christian faith in churches and schools. Tuesday nights at 7:00 pm. Check the calendar for schedule. We are meeting together to study "Experiencing God."